Northern Safari Custom Uniform Name Tapes, 50 Fabrics to choose from! Made in the USA! SHIPS UNDER 24 HRS! When customizing your product, you will get EXACTLY what you typed in the Font Color you requested. Font Color is Embroidery Color! Double check your order! All Name Tapes are Centered. If choosing a logo, logo is as it appears on the logo sheet, and will be printed as you see it in the logo sheet. Sew On items are longer so you can either tuck it under or cut off the edges depending on what you're attaching the sew on to. Hook Fastener Items are measured exactly as ordered. Either 3.5", 4", 5" or 6". No returns on custom items. ALL our shipments have TRACKING numbers, WE SHIP TO APO/FPO. MADE IN THE USA! By Professionals! All tapes are centered. When customizing your product, you will get EXACTLY what you typed in the Font Color you requested. Font Color is Embroidery Color! Double check your order! All Name Tapes are Centered. If choosing a logo, logo is as it appears on the logo sheet, and will be printed as you see it in the logo sheet. ALL our shipments have TRACKING numbers, WE SHIP TO APO/FPO. All names tapes are 1 in width except the ones with 1.25. MADE IN THE USA! By Professionals! All tapes are centered. 1: put the cloth on the place you want to paste, hot melt adhesive side of the garment (glue can not be torn off), preheat the iron, ironing from the front of the cloth 10-20 seconds, the cloth Stick fixed position. You can also use needlework to secure the cloth before ironing, so as not to offset the cloth. 2, the well-positioned cloth with clothing (or other textiles) in turn, from the reverse ironing 30-60 seconds to ensure that the adhesive melts, cloth affixed to the clothing (or other textiles). 3: Finally, iron from the front for 1-2 minutes, the main ironing cloth edges and corners, to ensure the smooth surface, and clothing (or other textiles) the perfect fusion. Note: with sequins, beaded, rhinestones, silk flowers, hair ball cloth, and cloth with metal embroidery, should be from the opposite side of the ironing, cloth to be fixed firmly before the corner trim from the front, so as not to Damage to the front of the sequins or other accessories. Clothes (or other textiles) should be kept dry, ironed to cloth or clothes without iron. 4: cloth ironing, the general long-term and clothing (or other textiles) closely. If the cloth after a period of time off, or shed after washing, indicating iron ironing temperature is too low, or ironing time is too short, repeat the original operation, once again cloth hot. 1: Put the PATCH on the place you want, and preheat the iron(120-150 C). You can put cotton fabric on the patch to secure the cloth before ironing. 2, From 2 sides of cloth ,respectively iron 30-60 seconds with pressure to ensure that the adhesive melts and fix well. 3: Finally, iron from the front for 1-2 minutes, the main position are edges and corners, to ensure the smooth surface,if you want them better,it is best to sew the four conors. 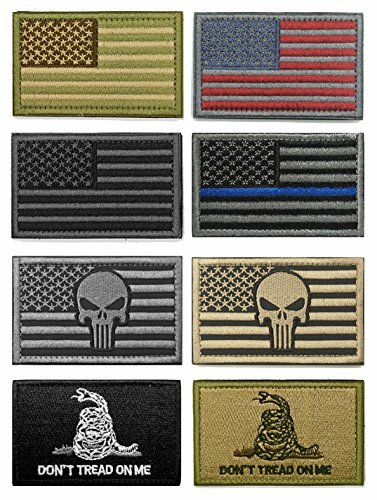 Show your American pride with these GORGEOUS American Flag Patches. The patch is made of 100% embroidered threads. 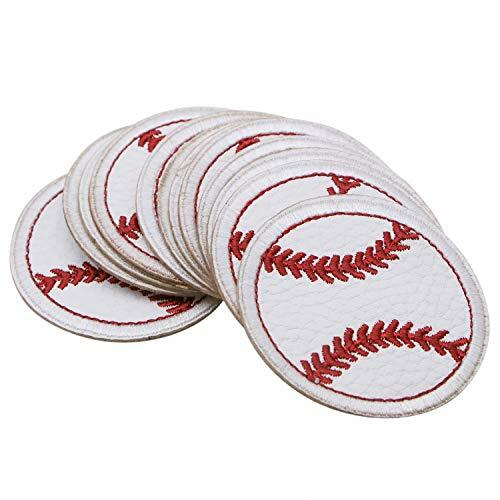 The Iron-On or Sew-on Patches are the perfect decorative addition to a wearable garment or a craft project. Great for towels, blankets, pillows, purses, scrapbooks, backpacks, aprons, jackets, pants, t- shirts, costumes, baby clothes and so much more! This package contains (2) 3"x2" American Flag patches. Not for use on delicate fabrics. The vibrant colors will surely impressed everyone. 100% satisfaction guaranteed. Sold in pack of 4 IRON-ON INSTRUCTION - Set iron to hottest setting. Do not use water or steam. - Cover patch with a fine cloth. - Press firmly with iron for about 45-60 seconds. - Repeat ironing on the reverse side. - Allow patch to cool before testing. - Repeat the process if needed to ensure the patch is secure. 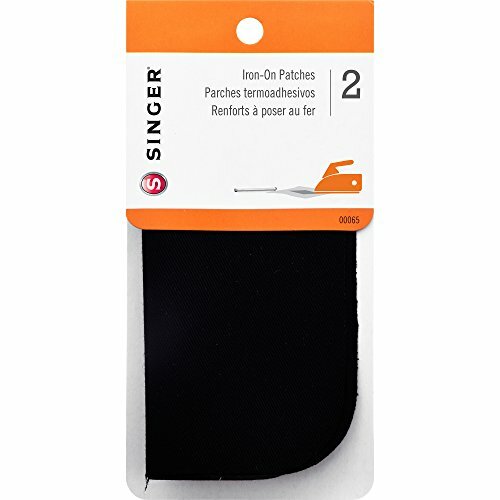 - Do not iron patch on delicate cloths, or any materials that will fail under extreme heat such as leather, satin, or nylon. SEW-ON INSTRUCTION - BY HAND: use 1/8-inch blanket stitch. - BY MACHINE: use 15-stitiches per inch, zig-zag setting, and never in a straight line. GOD BLESS United States!!! Please share your product experience below in "Customer Reviews" 100% MONEY-BACK GUARANTEE - Prohouse patches are backed by 100% guarantee that you are fully satisfied with your product or receive your money back. Be sure to purchase from Arts & Crafts to receive full manufacturer warranty. Click "Add to Cart" to buy now! 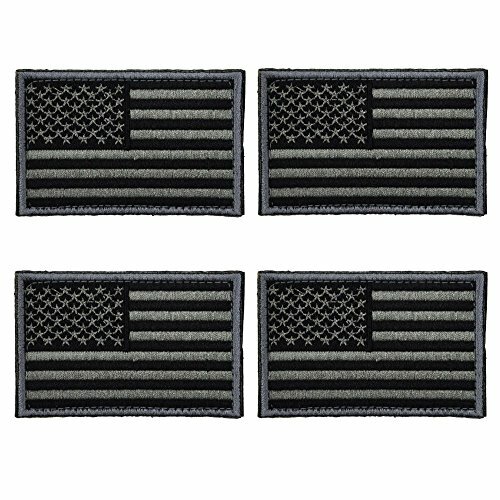 Show your American pride with these GORGEOUS American Flag Patches. The patch is made of 100% embroidered threads. The Iron-On or Sew-on Patches are the perfect decorative addition to a wearable garment or a craft project. 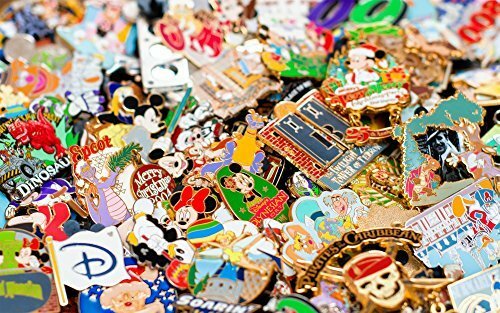 Great for towels, blankets, pillows, purses, scrapbooks, backpacks, aprons, jackets, pants, t- shirts, costumes, baby clothes and so much more! . The vibrant colors will surely impressed everyone. 100% satisfaction guaranteed. GOD BLESS United States!!! Please share your product experience below in "Customer Reviews" 100% MONEY-BACK GUARANTEE - WZT patches are backed by 100% guarantee that you are fully satisfied with your product or receive your money back. Be sure to purchase from Arts & Crafts to receive full manufacturer warranty. Click "Add to Cart" to buy now! WZT Brand is only sold by sunshine888 store , we didn't authorize any third party to sell our products! 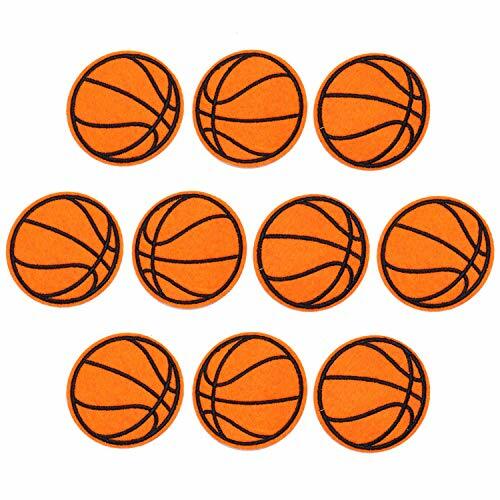 Iron-On Patches are ideal for mending, reinforcing and decorating many different applications. 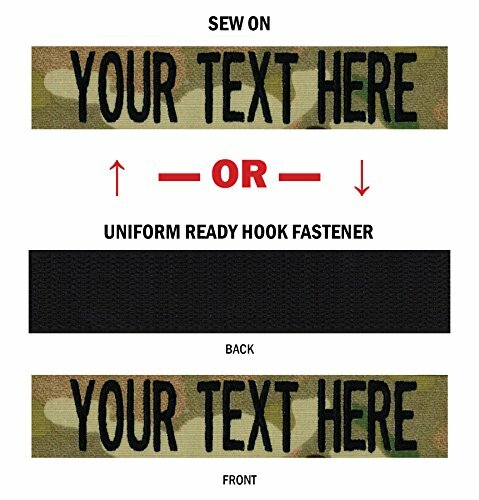 These versatile 100% cotton patches can be decorated or die-cut and appliqu d to most fabrics (Not recommended for use on nylon, or rayon). 1. Put the patch "hot melt glue" side on the clothes (glue can not be torn off) , Preheat the iron, the front side of patch ironing about 10 to 20 seconds, Make the patch a fixed position. 2. Put the fixed patch together with the clothes in turn, the back side of patch ironing 30 to 60 seconds, make sure the back glue melting, Patch firmly stick on clothes. 3. At last, Ironing again from the front side 1 to 2 minutes, Mainly iron it edge and angle, to ensure the surface smooth and flat, Perfect fusion with clothes. BossBee Shop is the original shop to sell these patch set. Please make sure that you buy from BossBee shop and you will get high quality patch with quick response service.Moreover we deliver via Amazon delivery system which you will get faster with full service. THE THREAD COLOR IS BROWN, NOT BLACK. I wasn't always a Lord of the Rings fan. Sure I always loved the concept of the story J.R.R Tolkien told, but I never really got into it until a friend of mine who really loved it showed me the way. After reading The Hobbit and the Lord of the Rings series and watching the films in the early-to-mid 2000's I was hooked. I began to read more and more of Tolkien and the poems he wrote and his personal story. This Lord of the Rings patch represents the nostalgia of discovering Lord of the Rings for the first time. I hope it does the same for you. 1.Lay the base item on a flat, heat-resistant surface. To ensure the item will provide a good surface for the patch, iron it first. 2.Place the patch in the position you chose. The adhesive side should be flat against the base fabric. Make sure that the patch isn't crooked. 3.Heat up an iron. Turn it to the hottest setting your fabric can tolerate. DO NOT USE STEAM DURING APPLICATION! Make sure the "steam" option is turned off, and that your iron isn't full of water. 4.Place a thin towel over the patch. Take care not to disturb the position of the patch. The towel will protect the patch itself and the surrounding fabric. 5.Position the heated iron over the patch and press down. Hold the iron there for about 15 seconds. Apply as much pressure as you can by pressing down firmly. 6.Remove the iron and allow the patch to cool. Lift the towel and check to see whether the patch is fixed on securely by gently rubbing at the edge with a finger, trying to lift it. If it lifts up a bit, replace the towel and press it with the iron again for 10 seconds. Caring for Your Patch Consider sewing around the edges. For a completely secure patch, use a sewing machine or a needle and thread to secure the patch to the fabric. This greatly reduces the chances that the patch will fall off. Just a few well-placed stitches around the edges and on any fragile "points" will go a long way to ensure your creation with withstand a lifetime of wear and laundering. Warnings Be very careful with polyester fabrics, since applying the high heat necessary for ironing on patches can burn the fabric or cause it to get discolored. Silk and other delicate fabrics are not good candidates for patches. Detailed embroidery with exquisite and bright-colored outlook. Refresh your costume. 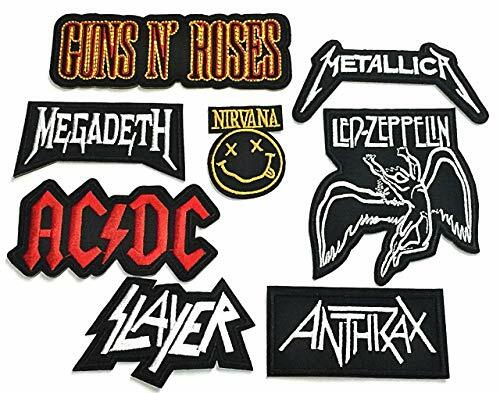 Iron-on patches are a great way to express your individuality - and they're also useful for hiding damaged or torn spots on your clothes and accessories. Warnings: Be very careful with polyester fabrics, since applying the high heat necessary for ironing on patches can burn the fabric or cause it to get discolored. Silk and other delicate fabrics are not good candidates for patches. How to use Lay your cloth on a flat, heat-resistant surface like an ironing board. To ensure the item will provide a good surface for the patch, iron it first. 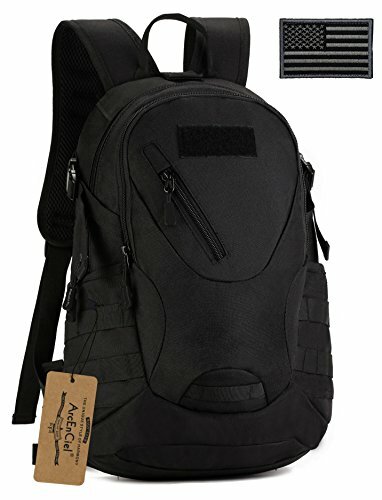 If it's a backpack or another item that's difficult to iron, do your best to arrange it so that the part of the fabric that will be receiving the patch is flat against a hard surface. Place the patch in the position you chose. The adhesive side should be flat against the base fabric. Make sure that the patch isn't crooked. On embroidered patches, the adhesive side is the underside. Heat up an iron. Turn it to the hottest setting your fabric can tolerate. Make sure the "steam" option is turned off, and that your iron isn't full of water. Place a thin towel over the patch. Take care not to disturb the position of the patch. The towel will protect the patch itself and the surrounding fabric. Position the heated iron over the patch and press down. Hold the iron there for about 15 seconds. Apply as much pressure as you can by pressing down firmly. Remove the iron and allow the patch to to cool. Lift the towel and check to see whether the patch is fixed on securely by gently rubbing at the edge with a finger, trying to lift it. If it lifts up a bit, replace the towel and press it with the iron again for 10 seconds. 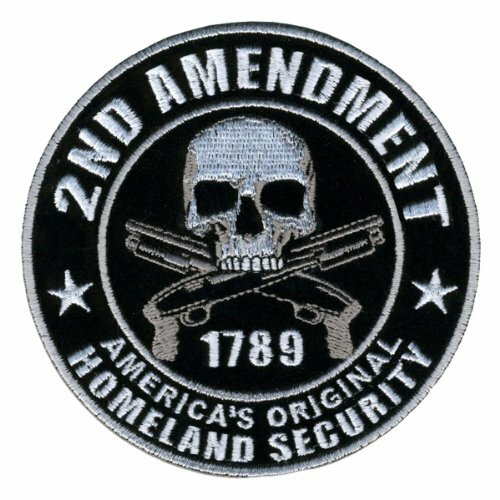 Homeland Security embroidered biker patch is a skull over crossed guns with the words "2nd Amendment - America's Original Homeland Security" and has heat sealed backing for easy iron-on application. There is an endless list of professions. I think there is a new definition to the modern traveler. I met quite a few people who proudly claim that they are travelers and can actually do this as a full time thing. In the today's world anything is possible so be a Traveler if this is what you want to do! HIGH-QUALITY EMBROIDERY - Let's talk quality. You want something that's made exceptionally well, don't you? 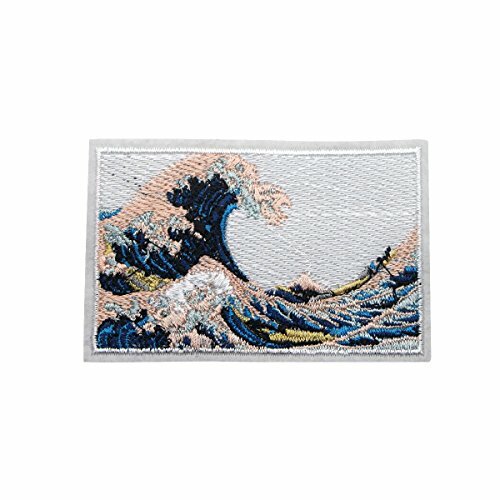 This patch has the highest level of embroidery details possible and will look great in person when you have it in your hands. 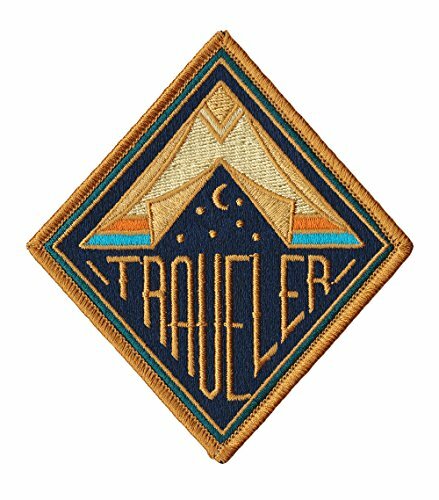 MADE FOR MANY YEARS OF WEAR - For travel, camping, or hiking, you need iron on patches that can handle the elements. This patch will last you for years to come. EASY IRON ON PATCH APPLICATION - In a few simple steps (see the details below), you'll have this patch ironed on and well attached. Sewing is recommended, but not necessary. 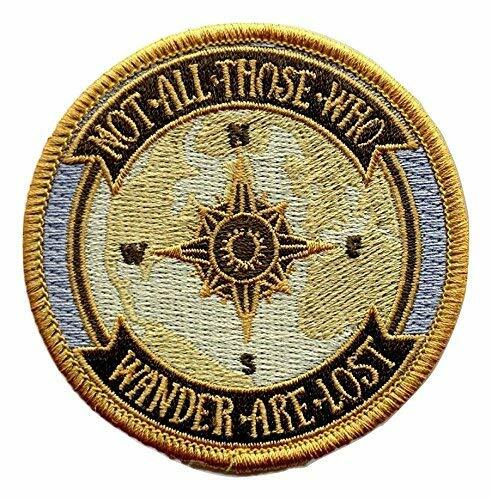 PERFECT FOR GIFTS - Picking a gift can be challenging, but with this patch you can't go wrong. Its thoughtful design and quality will leave a great impression. Comes in a stylish gift-ready retail packaging. It was recently said that people of our generation measure the success of their life in experiences and journeys. I think this is a true statement to the adventurous nature that cannot be held back. We want to be out. Road trips, long weekends, hikes, hot steaming coffees with friends, waterproof maps.. It all comes together in that moment when you're realizing that this is the trip you'll treasure forever. 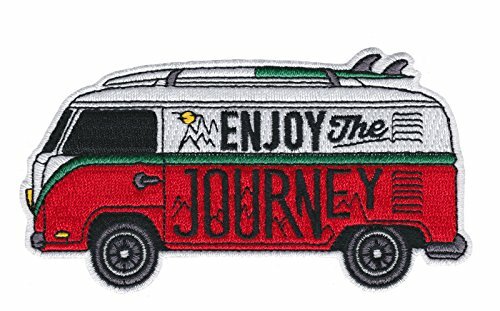 This patch will be your reminder of the good times you've had and all the trips you still need to plan. 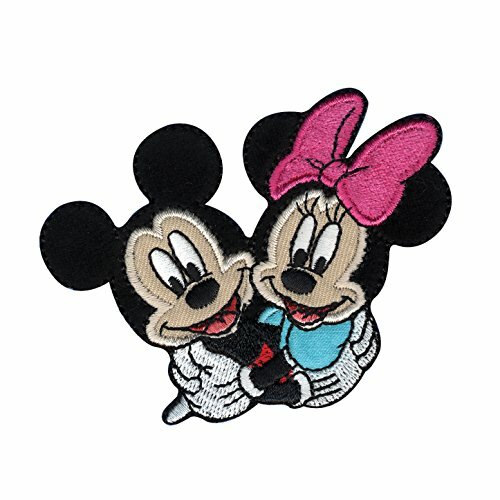 Disney iron on applique-mickey & Minnie 3-1/2"x2-3/4" 1/pkg. Use this adorable iron-on to decorate a piece of your child's clothing or accessories! this package contains one 3-1/2"x2-3/4" inch iron-on. Imported. 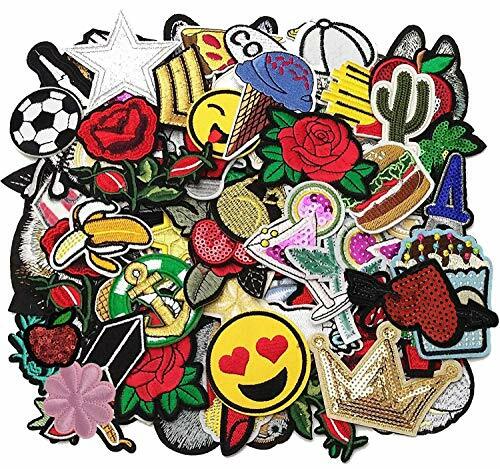 Applique and embroidered patches: widely used to decorate or repair jean jacket, T-shirt, jeans, bags, vests, hats, backpack, clothing, curtain, pillow, scarf, quilt, etc. 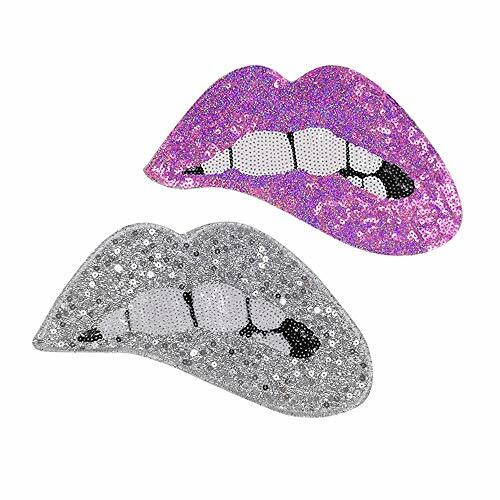 High quality, detailed embroidery applique. 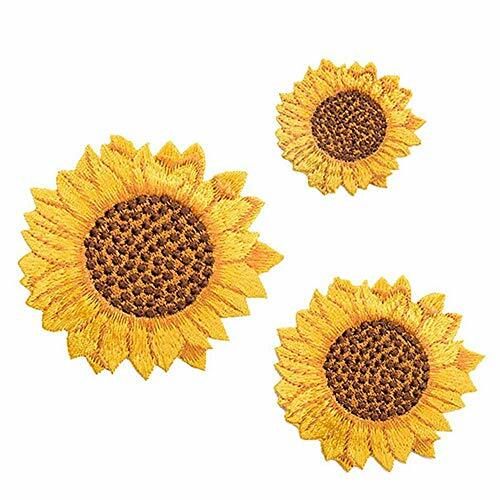 Iron on patches are ideal for mending, reinforcing and decorating many different applications. 1. First tidy up the clothes that need to be repaired or decorated, and choose the appropriate subsidy to put it in the position you want to repair or decorate. 2. Use the same color needle thread to simply sew the broken clothing (severe need to increase the lining to avoid repairing the clothes and then shape) and then roughly sew the clothes and cloth for positioning. 3. It can also be done by evenly tightening the upper line around the cloth or by using a sewing machine to step on the line. 1.Flat ironing before using will be better. This neckline collar lace motif is crafted with delicate pattern in floral style, chic and elegant, can be worn with dresses, blouse, shirt etc, or repair any of your flawed necklines. HIGH QUALITY: This embroidered lace collar applique is well made by hand, soft and durable, suitable for any type of skin. It's easy to sewing on and off, works well with clothes of classic, boho, hippie, gothic or retro styles. LARGE SIZE: 18 x 21 perfect neckline collar size, suitable for most fashionable women. WARRANTY: We guarantee full money back or replacement for any quality issue in 90 days. Please feel free to contact us directly if you have any problem, we will respond you within 24 hours. 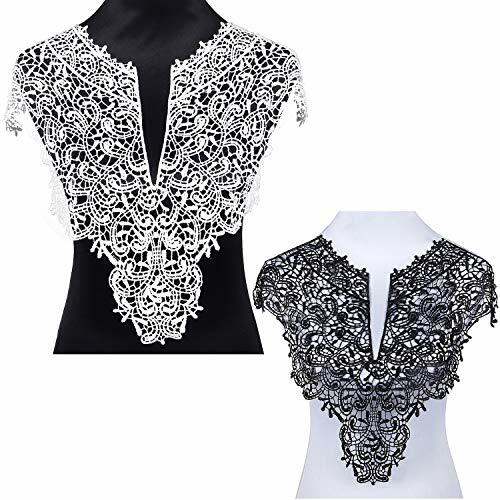 PACKAGE: It delivered to you with 2pcs embroidered neckline appliques by AMAZON Fulfillment.